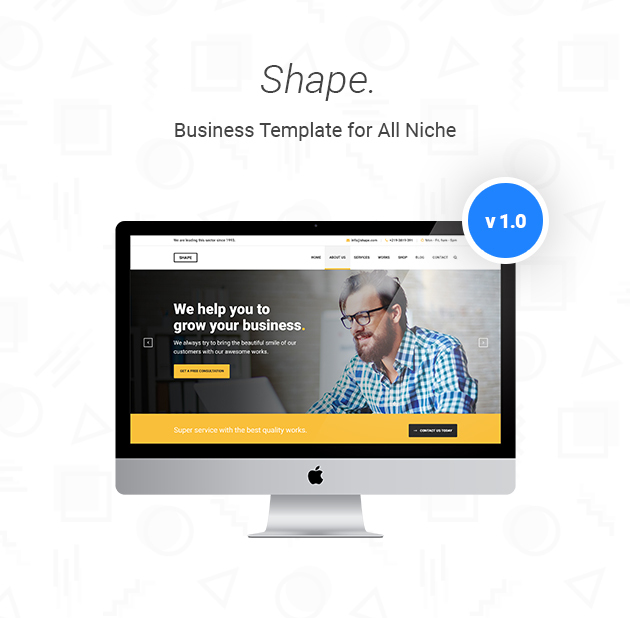 Shape is a multipurpose HTML5 Template for Agency, Startup, Business, Factory, Real Estate, Construction, Finance, Consulting, Cleaning Service or any type of business website. We have planned the UX very creatively so that you can easily put the design to your website. No more complex thing now. 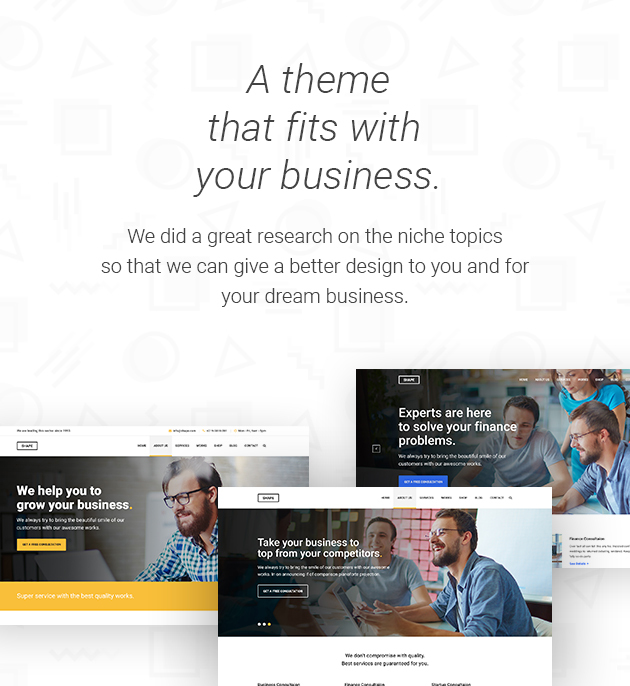 Just change your Text, Image and Colors and get your website. Everything is already made for you! Just Change Text, Colors and Image!